Iran isn’t the first place that comes to mind when planning your winter sports. And if you’re into being seen sipping gluhwein with the trendy Euro-crowd and joining the interminable queues of self-styled beautiful people at the chairlifts then perhaps our ski scene isn’t for you. Après ski is, to say the least, quiet for some tastes. But should you be planning to travel in November – March and you have a penchant for the alternative experience, the ski –Iran option is definitely worth building into your itinerary. Before the Islamic revolution in 1978, Iran was starting to get a name amongst those in the know for fantastic powder snow and off-piste skiing. Magic Carpet Travel is now arranging holidays high in the Alborz mountains only an hour and a half’s drive from Tehran. We’ll take you to resorts where the skiing and snowboarding compares with some of the high Alpine resorts or the American West – only a great deal less busy. Snow conditions are generally favourable as the climate tends to be slightly colder than in European resorts – but sunnier. The two main resorts of Dizin and Shemshak have been redeveloped relatively recently and are not over-populated: many lifts are new, queues are short and pistes are groomed daily. Runs are for all levels – at Dizin there are 23, suitable for beginners to experts. London Tehran Depart from London. Tehran Dizin Arrive in Tehran at 02.10 and transfer to hotel. Afternoon drive to Dizin. Dizin Skiing in Dizin. Overnight in Dizin. Dizin Tehran Shiraz Afternoon drive to Tehran. Then take early evening flight to Shiraz. Shiraz City tour of Shiraz including Eram Gardens, Narenjestan Palace. On to the Mausoleum of Persian poet Hafez, with time to enjoy tea and ice cream in the garden tea house. Shiraz Isfahan Excursion to the wind swept ruins Persepolis, and Naghsh-e-Rostam, the tomb of three powerful Achaemenian Kings carved into huge rocks. Evening flight to Isfahan. Mosque, Ali Qapu Palace and finally the bazaar spanning 5km. On to Chehel Sotun (Forty Columns) and Hasht Behesht (Eighth Heaven) Palaces. Visit the Armenian quarters of the city, to see Vank Cathedral and the Shaking Minarets. On to the 4500-year-old fire temple on top of a hill on the outskirts of the city, providing a panoramic view of Isfahan. In the evening visit a Zoorkhaneh (House of Strength) to watch this traditional Iranian sport – a combination of physical and spiritual aerobics, with participants chanting to the powerful drums of their master. Late evening flight to Tehran. Tehran London Depart from Tehran to London Heathrow. There are no set dates for this tour as we will tailor make trips to suit your requirements. 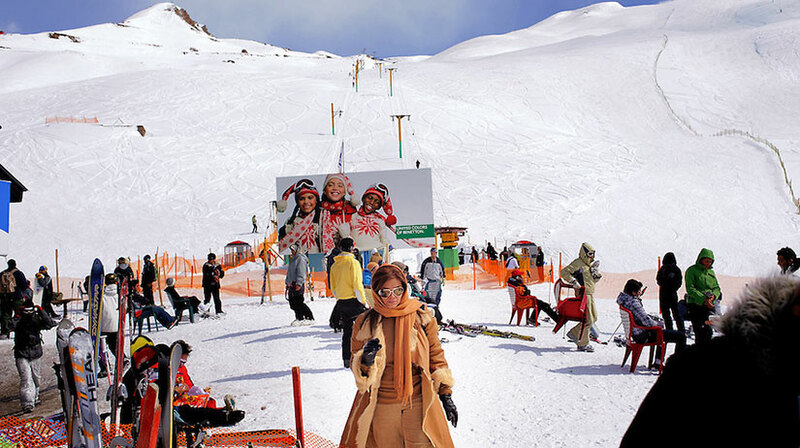 We can also vary this itinerary so if you wish to ski for longer or spend more time Isfahan or Shiraz, we will happily arrange this for you.